Congratulations , you’ve completed the course! Your assessor will review all submitted material, once reviewed you will be notified via email about your passing score and receive a certificate if you passed. You have done an awesome job on completing the fundamentals of kettlebell training, and you should now have a high standard of kettlebell training as your foundation for future progression. The kettlebell swing is only the tip of the iceberg when it comes to kettlebell training, there is so much more to learn (see here), and we’re here to help you. I thank you for your participation in this course, I hope you enjoyed it and learned a lot from it. I would very much appreciate it if you could leave feedback on the two ebooks that were included in the course, this in turn will help us by getting more people for the online courses in the future. 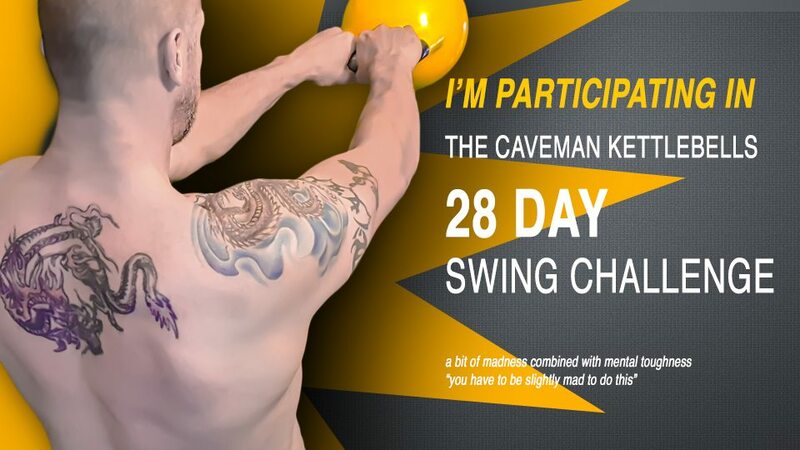 The challenge has it’s own online support group which you can find here https://www.facebook.com/groups/kettlebell.swing/ I recommend you joining the group and keep track of your day to day swings, stay accountable and post your results. If this online course was your very first contact with Kettlebell Training then I recommend you do not yet start doing heavy high volume swings (unless you’ve been cleared), instead I recommend you use this challenge to improve on your technique by implementing the following modified version of the challenge. Increase your weight slightly for the challenge and start by doing sets of 5 swings while seriously focussing on every little detail that this course has covered. You might only do 10 or 20 sets in one session, that’s up to you, but make it something achievable and safe for your level. Add one extra rep every two days into the program, i.e. on day three do sets of 6 swings, on day 5 do sets of 7 and so on, halfway through the challenge, depending on how you feel, maybe reduce the number of sets per session, but again, only you know best, listen to your body. Once you finish the challenge, give it some time and complete the challenge again, go up with your weight again and increase the reps. Your goal is to increase the number of reps and amount of weight moved in 28 days.